2011 turned out to be a good year for watching killdeer for me, all thanks to this pair. I first saw them up close near the refuge parking lot, then early one winter morning I spotted them again running in front of Horse Lake. Suddenly the male jumped onto the female and they mated, and later I had the privilege of seeing them raise their family at the edge of the lake. A little slice of killdeer life, all witnessed in the short space between the parking lot and the end of Horse Lake. 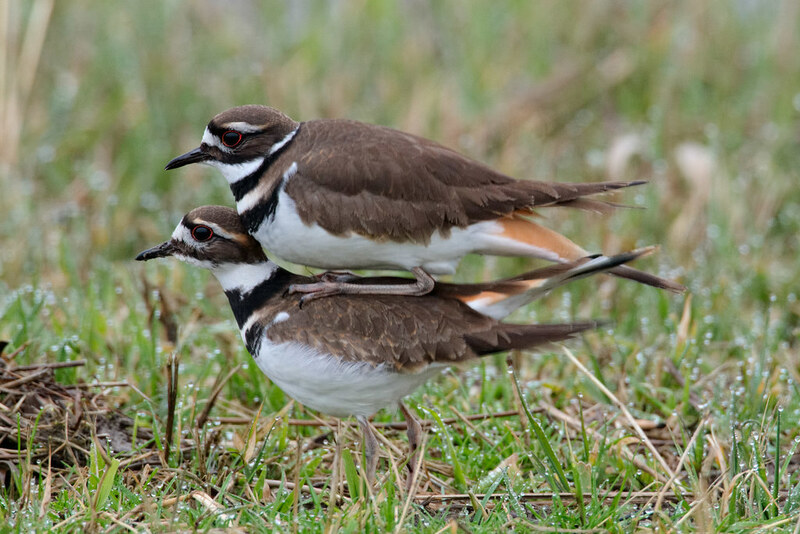 This entry was posted in Birds and tagged auto tour, Horse Lake, killdeer, mating, Ridgefield National Wildlife Refuge, River S Unit, Washington. Bookmark the permalink.